Little did Pat know, that after a Bachelors degree in Music, a Masters degree from The Juilliard School in New York, a professional certificate as an Alexander Technique Teacher, and a long career playing clarinet in symphony orchestras, she’d end up as a quilter. She sneaked into quilting after creating hand-marbled fabric for quilters then, seeing an art quilt in the store that sold her fabric, Pat knew that she was hooked for good. Her first quilt was curved piecing. Luckily, she didn’t know that it was difficult. Strip piecing came second. She has built her repertoire of techniques to include template and foundation piecing, machine appliqué, free-motion quilting, stained glass, fabric drawing, stenciling, painting, designing and improvising quilts and how to use up fabric scraps without making a crazy quilt. Pat has been teaching, primarily in Winnipeg, (central Canada) as well as other cities in Canada, since 1998 and quilting since 1993. 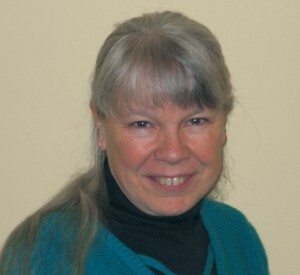 She has also taught online with Quilt University and is now teaching with the Academy of Quilting (www.academyofquilting.com). When the Canadian Quilters’ Association show came to Winnipeg in 2004, a city renowned for its quilting, Pat’s quilt, Spiderwoman: World Web Weaver, was the only quilt juried into the show from Winnipeg. Pat’s designs and quilts have made it to the finals of Quiltmakers Magazine design contest, been featured in Quilters Newsletter annual publication Quilt It for Kids. More recently, her designs, patterns and quilts have shown up in various publications, notably Fabric Trends magazine and Ricky Tims’ book Kool Kaleidoscopes (published by C&T). Her Rose of Sharon designs won an international competition, is one of 12 blocks in Sharon Pederson’s Roses of Remembrance quilt, subsequently appeared in Sharon’s Rose of Sharon DVD and The Rose of Sharon Block Book (published by Martingale and Company). Pat’s quilt, With Love and Peace won the Big Love Quilt challenge on The Quilt Show web site (www.thequiltshow.com). She has been featured in a four-page interview in the June/July 2015 issue of Quilters Newsletter. Pat’s patterns are published by Compositions in Cloth. Due to the discontinuation of some of the fluids necessary for fabric marbling, Pat no longer makes marbled fabric. However, that has not stopped her from experimenting with other methods of colouring fabric with dyes, paint sticks, fabric markers, felt markers and anything else she can get her hands on.